Knowing the basics of Forklift Tires: it’s our DNA! Through the market's evolution, Camso, formerly Camoplast Solideal, drove innovation. Let's have a look back! Historically, forklift operators didn't have much of a choice when it came to selecting their tires. Forklifts were simple machines. Today with machines becoming more advanced and complex, the need for new, more sophisticated tires is now a necessity. Today's forklifts are veritable machines of beauty. They can lift larger loads, travel at higher speeds and cover greater distances than they could in the past. All of this across a more diverse range of applications. 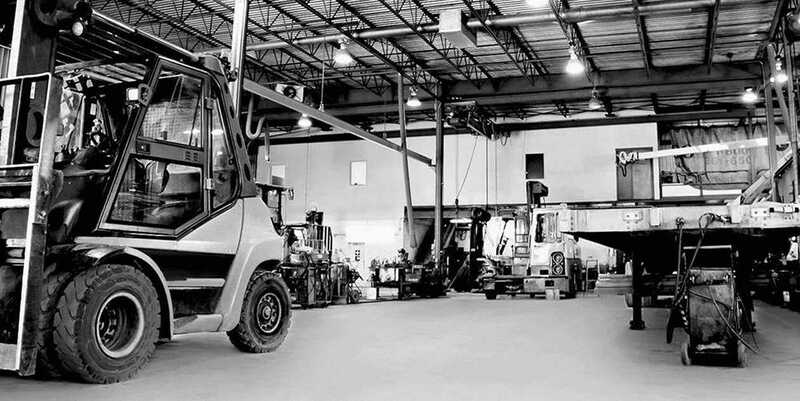 Today forklift fleet managers have a multitude of tire options to choose from. So, what's the difference between a pneumatic and a resilient forklift tire? At its core, the pneumatic tire consists of layers of rubberized fabric called plies. Plies extend diagonally in alternating directions across the tire and build up the tire carcass. Bundles of high carbon steel wires form beads and serve to secure the tire on the rim. An abrasion resistant rubber tread and sidewalls protect the casing. Finally a rubber inner tube allows for inflation of the tire to the specified pressure. Resilient tires (also known as solid tires or pneumatic shaped solids) were developed as a flat free solution to the pneumatic tire. The two-layer resilient tire is built from an inner heel layer comprised of a hard rubber compound and an outer tread layer made of an abrasion resistant rubber compound for long tire life. The three-layer resilient tire features a third middle layer. Here a special, softer rubber compound layer is added to maximize shock absorption to mimic the cushioning of a pneumatic and reduce internal tire temperatures. The Solideal Xtreme and Magnum are examples of a resilient tire. What about Press-On tires (also known as cushion tires or band tires)? Press-On tires are found predominantly in North America. Here, the tire is typically made from a single rubber compound that's bonded to a steel band. They are pressed on to the machines hub using a hydraulic press. Up to 200 tons or more can be required to install a Press-On tire. They are available in either a smooth tread pattern which are suitable for operating on dry, smooth floors or a traction tread pattern for wet environments or uneven/loose surface conditions. Press-On equipped machines are popular due to their ability to handle higher loads with greater stability compared to a similar sized resilient or pneumatic tire. The Solideal Magnum is an example of a Press-On tire. So, how do you know what tire is best for you? A good rule of thumb is that pneumatic tires work best when high speeds and long distances are involved. Ports are a good example of this. Resilient tires minimize downtime due to flat tires, have considerably more tread rubber and require little to no maintenance. Press-On tires are required if your forklift came equipped with them, with your choices coming down to specialized rubber compounds best suited to your needs. However, all operations are unique in their requirements and what's good for one may not be appropriate for another. The best choice of tire often requires a more thorough review of your application. An informed discussion with your tire professional is key to determining what will best suit your particular needs.